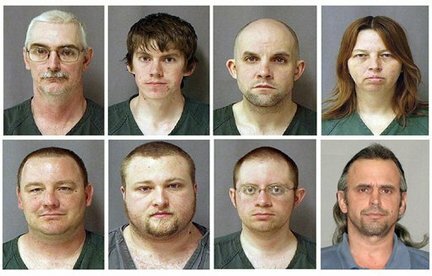 The arrests of members of a Michigan-based "Christian" militia group should convince doubters that there is good reason to worry about right-wing, anti-government extremism -- and potential violence -- in the Age of Obama. I put the word Christian in quotes because anyone who plots to assassinate law enforcement officers, as a federal indictment alleges members of the Hutaree militia did, is no follower of Christ. According to federal prosecutors, the Hutaree -- the word's not in my dictionary, but its Web site claims it means "Christian warrior" -- are convinced that their enemies include "state and local law enforcement, who are deemed 'foot soldiers' of the federal government, federal law enforcement agencies and employees, participants in the 'New World Order,' and anyone who does not share in the Hutaree's beliefs." Nine members of the Hutaree were named in the indictment. Eight were arrested during weekend FBI raids in Michigan, Ohio and Indiana; one suspect remains at large. The group's Web site shows members in camouflage outfits traipsing through woods in "training" exercises. They could be out for an afternoon of paintball, except for the loony rhetoric about "sword and flame" and the page, labeled "Gear," that links to several gun dealers. Along with numerous weapons offenses, the Hutaree are charged with sedition. The episode highlights the obvious: For decades now, the most serious threat of domestic terrorism has come from the growing ranks of paranoid, anti-government hate groups that draw their inspiration, vocabulary and anger from the far right. It is disingenuous for mainstream purveyors of incendiary far-right rhetoric to dismiss groups such as the Hutaree by saying that there are "crazies on both sides." This simply is not true. There was a time when the far left was a spawning ground for political violence. The first big story I covered was the San Francisco trial of heiress Patricia Hearst, who had been kidnapped and eventually co-opted by the Symbionese Liberation Army -- a far-left group whose philosophy was as apocalyptic and incoherent as that of the Hutaree. There are aging radicals in Cuba today who got to Havana by hijacking airplanes in the 1970s. Left-wing radicals caused mayhem and took innocent lives. But for the most part, far-left violence in this country has gone the way of the leisure suit and the AMC Gremlin. An anti-globalization movement, including a few window-smashing anarchists, was gaining traction at one point, but it quickly diminished after the Sept. 11, 2001, attacks. An environmental group and an animal-rights group have been linked with incidents of arson. Beyond those particulars, it is hard to identify any kind of leftist threat. By contrast, there has been explosive growth among far-right, militia-type groups that identify themselves as white supremacists, "constitutionalists," tax protesters and religious soldiers determined to kill people to uphold "Christian" values. Most of the groups that posed a real danger, as the Hutaree allegedly did, have been infiltrated and dismantled by authorities before they could do any damage. But we should never forget that the worst act of domestic terrorism ever committed in this country was authored by a member of the government-hating right wing: Timothy McVeigh's bombing of the federal building in Oklahoma City. It is dishonest for right-wing commentators to insist on an equivalence that does not exist. The danger of political violence in this country comes overwhelmingly from one direction -- the right, not the left. The vitriolic, anti-government hate speech that is spewed on talk radio every day -- and, quite regularly, at Tea Party rallies -- is calibrated not to inform but to incite. The writer will be online to chat with readers at 1 p.m. Eastern time Tuesday. Submit your questions and comments before or during the discussion. Frank Rich's column "The Rage Is Not About Health Care" got a lot of attention this weekend. It ran through the examples of Republican overreaction and right-wing rage in response to the passage of healthcare reform – all of it well-covered in Salon -- and concluded the rage mainly stems from the fact that whites are about to become the minority in this country. Rich isn't wrong (although calling last week's uprising a "small scale mimicry of Kristallnacht" was a little shrill). The "I want my country back!" rhetoric does reflect a mind-set in which one's country has been taken away by ... others. But in thinking about race this weekend, I got more out of a column by Ron Brownstein, which examined poll data showing that white voters -- wrongly -- tend to believe healthcare reform helped "other people," not themselves. Those doubts were especially pronounced among white voters with less than a college education, Gallup found -- the group that most resisted candidate Obama in 2008. They're the least likely to say the plan would benefit the country, even though they're more than twice as likely to lack health insurance as college-educated whites. We can shake our heads at their ignorance, perhaps even racism, or we can try to understand the roots of their doubt. Brownstein points to a Stanley Greenberg poll that found these whites are reaching a tipping point that could send them even more enthusiastically toward Republicans this year. He also notes that among the 34 House Democrats who opposed the healthcare reform bill, 28 percent come from districts with a higher than average percentage of non-college educated whites in their districts. I've written before about Lane Kenworthy's research tracing the decline of Democratic support among white working-class voters between the mid-'70s and 1990s. "Beginning in the mid-to-late 1970s," Kenworthy and his collaborators found, "there was increasing reason for working-class whites to question whether the Democrats were still better than the Republicans at promoting their material well-being." By the time of the Clinton recovery in the late 1990s, those voters were already too down on Democrats, and taken with divisive GOP us-vs.-them rhetoric, to give Democrats any credit for the improved economy. So there's a long history here of Republicans preying on white working-class insecurity, and Democrats mostly ignoring it, that shapes the response to healthcare reform. That's why, to me, it was so important for Democrats to pass the bill, flawed as it was. Democrats need to deliver on their promises, with tangible benefits for their voters, and if whites remain suspicious now, maybe watching the bill's colorblind protections help all groups can change white opinions about social spending. Maybe not. But Democrats are going to have to do a better job of selling the bill's benefits to everybody to prevail in November, and Brownstein's column framed the problem without name-calling. Video: La Bouche-"Be My Lover"
On a cold, wet night in Switzerland, Flight 3597 from Berlin approached the Zurich airport. The pilot cut his speed to 180 knots, descending from an altitude of about 4,000 feet. The aircraft banked right for its final approach. There was light snow and a slight wind. It was 32 degrees. On board, Charleston native Melanie Thornton was preparing for her second show of the night. She had performed earlier in Leipzig, telling an interviewer after the show, "You should live life to the fullest because tomorrow's not promised." Her career was soaring in Germany, where her "Wonderful Dream (Holidays Are Coming)" had been picked for a Coca-Cola TV ad. She had already sold more than 10 million albums worldwide as the soulful voice of the RCA Records duo LaBouche. Now, she was launching a solo career with "Ready To Fly," her debut for X-Cell/Epic. Thornton, 34, was seated on row 12 next to a window above a wing. Her bag was next to her in an aisle seat. Capt. Hans-Ulrich Lutz was in charge of the 97-seat RJ-100 jet. He had logged thousands of hours in the cockpit for his company, Crossair. There was no warning to passengers for what happened next. At 10:06 p.m. on Nov. 24, Zurich air traffic control cleared Flight 3597 to land. A few seconds later, the captain ordered an emergency pull-up to abort the landing and gain altitude. The cockpit voice recorder registered an acoustic signal that indicated the automatic pilot was being turned off, officials said. "One second later, the cockpit voice recorder began to record the sound of impact. A short time later the recording ends," the Aircraft Accident Investigation Bureau in Bern, Switzerland, said in a report. The plane skimmed through trees before crashing into woodlands 3.7 miles short of the runway. A beautiful, open grass field was less than 100 feet away from where the plane came to rest, said Lois Chisolm, Thornton's older sister. Chisolm and her husband visited the crash site. She spoke with survivor Peter Hogenkamp, 33, on Nov. 29. He was seated near the rear of the plane, which broke off during the crash. Hogenkamp told Chisolm that five seconds after impact, the plane exploded where Thornton was seated. On Saturday, Chisolm and her family grieve the loss of Thornton, who will be remembered at a funeral service at 1 p.m. at Greater Goodwill AME Church in Mount Pleasant. Burial will be in Mount Pleasant Memorial Gardens. The family takes some solace in the success of "Ready To Fly," which entered the German record charts at No. 11 Tuesday. Her "Wonderful Dream (Holidays Are Coming)" broke into the charts at No. 9. X-Cell/Epic plans to release "Ready To Fly" in the U.S., Chisolm said. Thornton, a Wando High School graduate, was among 24 who died in the crash, including the pilot and co-pilot. Chisolm blames the flight crew for programming the wrong numbers into the plane's autopilot, causing it to fly too low on approach. She said officials indicated to her that was the cause of the crash. The family has hired a lawyer. A Crossair spokesman said the crash investigation continues, and the cause of the crash has not been determined. Thornton was a U.S. and German citizen. She had an apartment near Frankfurt and owned a home in Atlanta. She arrived in Germany on Feb. 14, 1991, with $15 in her pocket. Chisolm lived there with her U.S. Army husband. 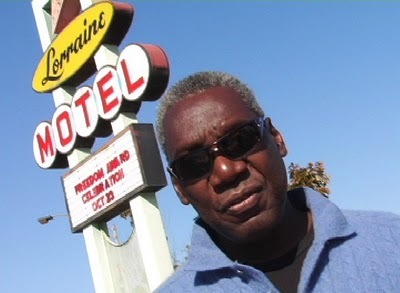 His uncle, Bob Chisolm, a singer and piano player, encouraged Thornton to give the German nightclub circuit a try. She was singing in a Macon, Ga., band, Danger Zone, pulling down $50 on a good night. Bob Chisolm told her on a bad night in Germany she would make $150. She tried it and soon found work in studios recording demos. It was her recording of the song "Sweet Dreams" that caught the attention of producer Frank Farian, the mastermind of the infamous '80s duo Milli Vanilli. Farian took Thornton under his wing, teaming her with rapper Lane McCray in the duo LaBouche, which is French for "The Mouth." Crossair Flight LX 3597 was an Avro RJ100 regional airliner, registration HB-IXM, on a scheduled flight from Berlin, Germany to Zurich, Switzerland that crashed during its approach to land at Zurich International Airport on November 24, 2001. Twenty-four of the thirty-three people on board were killed. The flight departed Berlin-Tegel International Airport at 9:01 PM CET, upon arrival in Zurich about an hour later it was cleared to approach runway 28 in poor visibility conditions due to low clouds. At 10:07 PM CET the plane crashed into a wooded range of hills near the small town of Bassersdorf some 4 kilometers (2.5 miles) short of the runway, where it broke apart and went up in flames. Of the 33 people onboard (28 passengers and 5 crew), 24 died (among them the cockpit crew), and nine—seven passengers and two flight attendants—survived. The lead singer of the Eurodance group La Bouche, Melanie Thornton, was one of the dead. The German pop group Passion Fruit was also aboard; two of the singers died, the third singer and manager of the band survived with injuries. The investigation concluded that the accident was a controlled flight into terrain caused by the captain deliberately descending below the minimum descent altitude (MDA) without having the required visual contact with either the approach lights or the runway; and the copilot making no attempt to prevent the continuation of the flight below the minimum descent altitude. The report revealed that the pilot had failed to perform correct navigation and landing procedures before, but no action had been taken by the airline. The investigation report states that other factors also contributed to the accident: the range of hills the plane crashed into was not marked in the Jeppesen approach chart used by the crew, despite the hilly terrain the approach to runway 28 was not equipped with a minimum safe altitude warning (MSAW) system, which triggers an alarm if a minimum safe altitude is violated, and the airport's means of determining visibility were inadequate for runway 28 and the visual minimums at the time of the accident were actually inappropriate for using the standard approach to runway 28. 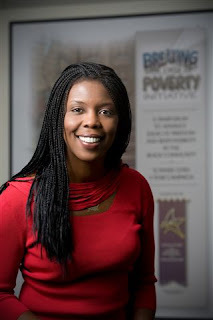 Star Parker: The Government Plantation Forever? Let's do a quick thought experiment. The price of apples keeps going up. The government decides that every American must buy apples. But some can't afford them. Government starts controlling how much apple farmers are paid, it mandates that every single American buys apples and subsidizes those under a certain income level so they can. Will the price of apples go down, stay the same or go up? Or, in economists' language, if you limit the supply of a commodity and increase demand, will the price of that commodity go up or down? Did you say "up"? You get an A. But if you did say "up," you surely are not a Democrat. Democrats have just committed multitrillions of our money, and, as a bonus, sold a big chunk of American freedom down the road, betting that everything a college freshman learns in basic economics is not true. Or, that health care doesn't follow the rules of economics. Because our new health-care system is pretty much the apple scenario described above. Or, maybe they don't care? Maybe it's not about economics, but about ideology and political power. And that the real issue is freedom. They think we've got too much and that politicians should decide what is fair and who should have what. A revealing moment during the presidential campaign occurred when, during one debate, ABC's Charles Gibson pushed then-Sen. Barack Obama about his stated intent to increase capital gains taxes. Gibson brandished data showing that when you cut this tax, government tax revenues increase, and when you raise it, revenue drops (punishing investment surely produces less). "So, why raise it?" Gibson asked. Obama responded that maybe it won't happen that way this time. And besides, he said, his motive was "fairness." After voters in Massachusetts elected a Republican to replace the late Sen. Ted Kennedy, killing the Democrats' filibuster-proof Senate majority, many pundits wrote that President Obama had to move to the political center. I wrote then that this wouldn't happen because, unlike President Bill Clinton, who did moderate, Obama is a left-wing ideologue. He didn't run for president to be somebody. He did it to do something. He did it to change America. As polls showed waning public support for what Democrats were pushing on health care, many assumed they would back off. It was still conceivable that they could stand rules on their head and ram the thing through using the so-called reconciliation procedure. But why would they do it when polls suggested they would be punished in November elections? But Obama understood that when you are selling dreams, numbers don't matter. So, as in the housing and financial debacle we just went through, you commit taxpayer money to subsidize a product to make it look cheaper than it is, you get people to buy it, and when it all comes crashing down, it doesn't matter. By then you're long gone. And, another bonus, as more Americans get herded onto the government plantation -- 30 million more with this new bill -- it's easy to keep them there. So the most likely political outcome going forward is higher taxes and income redistribution to pay for it all, entrenching socialism more. As I have written before, if you want to know where it all leads, look at our inner cities that were long ago taken over by government compassion. This is our future, my fellow Americans. Oh, back to the apples. Their prices were rocketing up to begin with because government was already controlling and regulating them. Republicans are mad. But will they be able to entice Americans off the ever-growing government plantation? Will they propose and succeed in selling the bold ideas necessary to turn the basket case we're becoming around? Despite efforts to depict the so-called tea bag protesters as part of an independent political movement, new polling data reveal that approximately three-quarters of them are Republicans or lean toward the GOP and 77 percent of them voted for John McCain in 2008. Those are the findings of a poll conducted by Quinnipiac University in Hamden, Conn. While only 33 percent of voters have a favorable opinion of Sarah Palin, 72 percent of tea party members are impressed by McCain’s former running mate. Eighty-eight percent of those polled said if their congressional election were held today, they’d vote for the Republican candidate. According to the poll, 88 percent of the tea baggers are White. 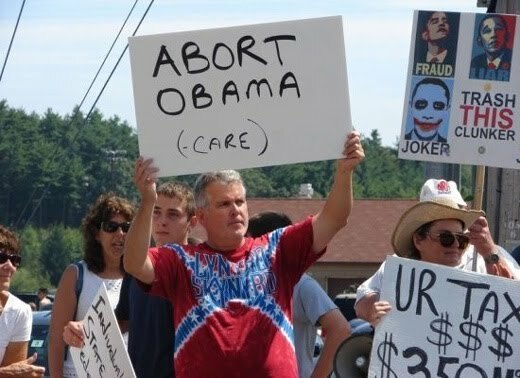 Because GOP leaders and tea bag protesters are joined at the hip, Republicans can’t credibly distance themselves from what New York Times columnist Frank Rich called a “tsunami of anger” and venom spewed by the right-wingers. It was during a recent tea party-led protest on Capitol Hill that African-American congressmen were called the n-word and one, Emanuel Cleaver II of Kansas City, Mo., was spat on by a protester. GOP leaders issued perfunctory disclaimers intended to give the impression that they frown on such behavior. However, Republican National Chairman Michael Steele couldn’t bring himself to call the actions what they were – racist and homophobic. Evidently, Robertson can’t read his own signs. Clearly, he is proficient in neither reading nor spelling. But characters such as Robertson have been emboldened by the rhetoric and actions of GOP leaders whether inside or outside of Congress. As protesters gathered at the foot of the Capitol, some Republican members of Congress greeted them, holding a “Don’t tread on me” banner. One, Rep. Steve King, simulated slapping a photograph of House Speaker Nancy Pelosi. Inside, when disruptive protesters were ejected from Congress by Capitol police, some Republican members of Congress applauded the unruly visitors. As Frank Rich pointed out, this is about more than health care reform. This anger has been stoked by the usual conservative radio talk show hosts. Repeated lies by Limbaugh and Glenn Beck have caused a majority of Republicans to accept unfounded lies about Obama as facts. According to a recent Harris poll, most Republicans (67 percent) believe the president is a socialist, wants to take away the right to own guns (61 percent), is a Muslim (57 percent), wants to turn over the sovereignty of the U.S. to a one-world government (51 percent) and has done many things unconstitutional (51 percent). Sizable minorities also believe Obama was not born in the United States and therefore ineligible to be president (45 percent), is a racist (42 percent) and is doing many of the things Hitler did (38 percent). Even when Obama is doing what other presidents have done, he gets criticized by Republicans. For example, after Obama made 15 recess appointments – placing officials in federal positions while the Senate, which normally approves such nominations, was in recess – Republicans such as Senator Lindsey Graham (R-S.C.) said the move would further chill relations between Obama and the GOP. Neither the senior senator from South Carolina nor his fellow Republicans acknowledge that George W. Bush made the same number of recess appointments at this stage of his presidency. By the time Bush left office, he had made 171 recess appointments, according to the Congressional Research Service. But this isn’t about telling the truth. It’s about trying to regain political power, even if that means being hypocritical, trading in blatant lies and pretending this is a modern-day tea party revolt. President Obama earned well-deserved accolades for his dogged fight to make a much needed, and long overdue comprehensive health care reform a reality. The president can and should savor the victory and feat. But there's another equally hard battle that desperately needs to be fought, and that's the fight to dent the massive and chronic joblessness of young blacks. The crisis is inching close to epidemic proportions. The National Urban League has urged the Obama administration to spend billions more to train and to put young blacks to work. The money is desperately needed and needed now. The one out of three young blacks out of work matches the figure for joblessness at the peak of the 1930s Great Depression. The jobless figure for young blacks, especially young black males, is not much different than what it was even before the economic meltdown. During the Clinton era economic boom, the unemployment rate for young black males was double--and in some parts of the country--triple that of white males. Three years ago, when the job crisis among young blacks was marginally less severe than the present, a stunned Congressional Black Caucus and House Minority Leader Nancy Pelosi reflexively blamed President George Bush. They claimed that his fiscal and economic policies have resulted in the loss of millions of jobs during his years in office. They demanded that he radically increase funding for job training programs and provide more tax incentives for the working poor. Bush did none of these things. Neither did Pelosi and the Congressional Black Caucus. They did not vigorously push for a crisis job training and creation program for young black males. The crisis continued to mount. The bitter new reality is that the job crisis is no longer Bush's crisis. It's Obama's. This requires a candid look at why so many young blacks are unemployed and why they have stayed unemployed so long even when times were relatively good. State and federal cutbacks in job training and skills programs, the brutal competition for low- and semi-skilled service and retail jobs from immigrants, and the refusal of many employers to hire those with criminal records have been prime culprits in driving the numbers higher and higher. The high number of miserably failing inner-city public schools also fuels the unemployment crisis. They have turned thousands of blacks into educational cripples. These students are desperately unequipped to handle the rapidly evolving and demanding technical and professional skills in the public sector and the business world of the 21st Century. There's an even bigger reason for the stubbornly high numbers that defy reason in the good times, a reason that conservatives routinely deride, and liberals downplay out of political fear. That's the persistent and deep racial discrimination in the workplace. The mountain of federal and state anti-discrimination laws, affirmative action programs and successful employment discrimination lawsuits give the public the impression that job discrimination is a relic of a shameful, racist past. Yet recent studies have found that black men without a criminal record are less likely to find a job than white men with criminal records. This is despite the volumes of state and federal laws that ban racial discrimination. 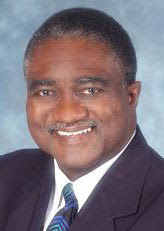 The Urban League's annual State of Black America reports, a 2005 Human Rights Watch report and the numerous discrimination complaints reviewed by the Equal Employment Opportunity Commission over the past decade reveal that employers have devised endless dodges to evade anti-discrimination laws. This includes rejecting applicants based on their names or areas of the city they live in. Black applicants may be incorrectly told that jobs advertised were filled already. One study even documented that employer's name-code blacks to exclude them from hiring. Those with Islamic or Afro-centric sounding names are red penciled from their interview list. A decade ago, in a seven-month comprehensive university study of the hiring practices of hundreds of Chicago area employers, many top company officials when interviewed said they would not hire blacks. When asked to assess the work ethic of white, black and Latino employees by race, nearly 40 percent of the employer's ranked blacks dead last. The employers routinely described blacks as being "unskilled," "uneducated," "illiterate," "dishonest," "lacking initiative," "involved with gangs and drugs" or "unstable," of having "no family values" and being "poor role models." The consensus among these employers was that blacks brought their alleged pathologies to the work place, and were to be avoided at all costs. Researchers found that black business owners shared many of the same negative attitudes. The Chicago study has been replicated in New York, Los Angeles, and Philadelphia and other major cities with a large number of unemployed work eligible black males and surveys of professional groups. 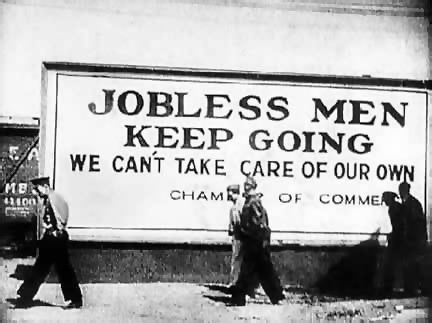 With the health care reform battle out of the way, Obama now should target Great Depression joblessness among young blacks. It's a target well worth aiming at. In the heat of a West Tampa spring, a long-limbed girl of 16 glided around the Jefferson High asphalt track. Such grace and elan in her stride, she churned fast around the curve of her best event, the 220-yard dash. Mary Francis Robinson played basketball, too, mostly because her girlfriends went out for the team. She also was pretty, which the goofy adolescent boys waiting for their turn in the gym noticed. One of the boys, a junior, heard the girl everyone called "Francis" had a crush on him. So one night he rolled up to her house in his '69 baby-blue Mercury Cougar, which was just about the coolest ride a guy at Jefferson could drive some 30 years ago. Within 18 months, she had a baby boy. She could have been a college athlete, like the boy she fell for, who ended up getting a scholarship to play baseball for his uncle a few hours away. She could have been a teacher. She could have been a lot of things. But Francis was head strong, stubborn as a motor-oil stain, determined to do it her way. She dropped out and decided to raise the child by herself. Hearing the Jefferson band play the alma mater, she cried the day her classmates graduated without her down the street from the cramped apartment where she lived with her toddler. Unsure whether she and the boy's father would work things out, she took up with another man. And this one unfortunately sold tiny white balls of hardened chemicals, which people began lighting inside baby-food jars in the mid-1980s and inhaling -- until the rock cocaine rushed through them, piercing their senses like 1,000 dental drills at once. He gave Francis another child at 19 years old but he stole from her all the hope she had gliding around that track in high school. One night, about a month before her second boy was born, the man was gunned down. He bled to death in her arms. After a while, Francis just stopped caring. "I lost the strong side of me," she said. The mother of the man who died in her arms was so traumatized by her son's death she moved her family from Tampa to Miami. She asked Francis to come. There were drugs, alcohol, aliases, arrests and more aliases after that. And children. Francis knew she wasn't much of a maternal figure. She still inexplicably had four more boys and two girls. Every one of her eight kids, all of whom Francis said she loved, ended up being raised by one of the four men who fathered them or one of the men's family members. Between rehab, relapses and trying to get off the streets, she could barely parent herself. Years later, guilt, shame and regret consumed Francis for first abandoning her oldest boy, then almost 4 years old. In the same apartment where his father picked him up 21 years earlier -- he was told to come get his child "because Francis can't take care of her children anymore" -- she came downstairs in a lime green blouse and a jean skirt. "The life I been livin', I ain't happy with it," she said at the time. "I'm trying to maintain on the outside. I joke to make people laugh. But little do they know I'm hurting inside." Later, outside a restaurant, she broke down in convulsive sobs, said she can't believe she "scarred" her child. "Not just him, but myself, too," Francis said. "I scarred myself." "I just want him to know I love him regardless. Regardless. I know it's not right for me to ask, but if he can ever find it in his heart to forgive me . . ."
She said she had been sober from drugs for a while in the summer of 2006, but admitted she still enjoyed her beer now and then. Less than four years later, this past December, her liver began to fail. While holding down a job at Kentucky Fried Chicken on 119th Street NW and Seventh Avenue in Miami, where her second son remembers she was always cooking in the back, Francis was in and out of the hospital. Her liver gave out this month. 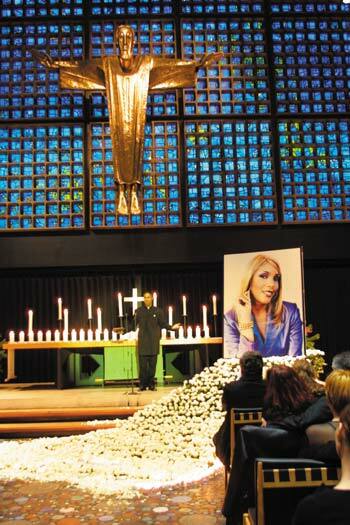 She was taken off life support on March 10 and passed away a few days later at the age of 46. She saw her oldest son just once after he left with his father. She went to his workplace in Miami in 2002, calling his name in front of other people and later meeting him beside a bus. She collapsed in his arms and through tears told him she was sorry for abandoning him as a child and gave him her phone number. He listened, unsure at the time that it was in fact his mother, kissed her on the cheek and got on the bus -- to another town, another NBA arena. "One of the reason she wasn't tryin' to get in touch with Gilbert was she didn't want the media to tell the story of his mama on the streets, doin' drugs," said William "Blue" Robinson, the half-brother of Gilbert Arenas and one of seven siblings Arenas has never met as an adult. 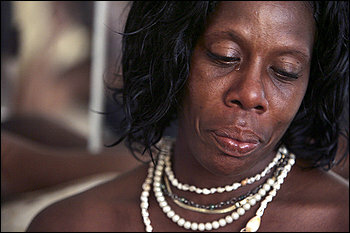 "Gilbert needs to know: She didn't have none of her kids with her. I hope he don't feel like he was the only one who was gave up. We all got gave up." 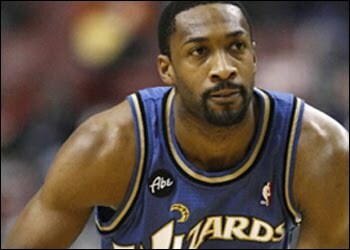 Arenas, who had talked of reconnecting with his estranged mother after he retired but "wasn't ready to open that door right now," didn't learn of her death until a few days afterward, less than two weeks before being sentenced in D.C. Superior Court for bringing guns into Verizon Center. He called and made arrangements to pay for her funeral. Said Gilbert Arenas Sr., Gilbert's father and the teenager who recognized that long-limbed, pretty girl at Jefferson High 30 years ago: "She was a beautiful young lady, nice young lady, always had a smile on her face. I often wonder if I could have done things differently. When she was involved with somebody else, I just thought, 'If that's what you want, okay, I'll step back.' I guess you could do that with a lot of things in life." Blue said that his mother got off the streets at the end of her life, that he remembers her laugh more than the pain of seeing his mother struggle with her demons, including the death of Blue's father, whom he never met, by gunshot. "The last time I spoke with her, I remember she was worried about Gilbert," Blue said. "She said, 'What is it with you boys and these guns?' 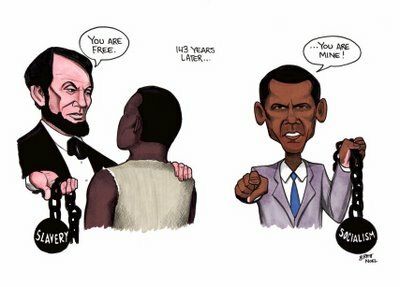 "
Has President Obama Become The Head Gate Keeper? Do You And Your Doctor Have An Understanding? Where Do Old Revolutionaries Go?